Piloted in 2018, JUMP encourages employees to take part in sustainability activities such as reducing energy and water use, travelling sustainably, minimising waste and responsible purchasing. JUMP complements the university’s environmental policy, focusing on the collective impact of individual action and embedding a culture of sustainability across campus. When employees sign up to JUMP, they select a department team and compete to earn green points and win individual and team prizes. They can take part in a range of activities under the themes of Engagement and New Ideas, Energy and Water Reduction, Sustainable Travel, Reduce Reuse Recycle and Food and Drink. 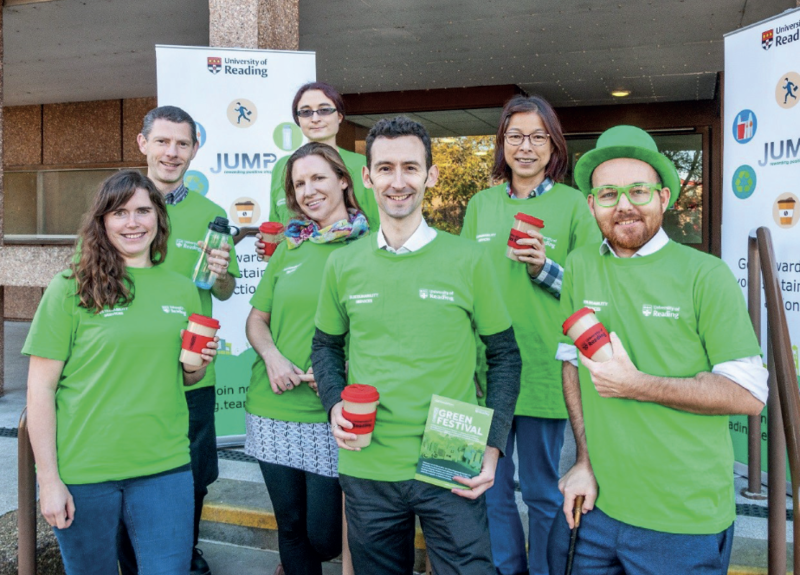 The use of gamification and incentives are key to JUMP’s success, helping the programme to achieve mass engagement and drive long-term behaviour change.